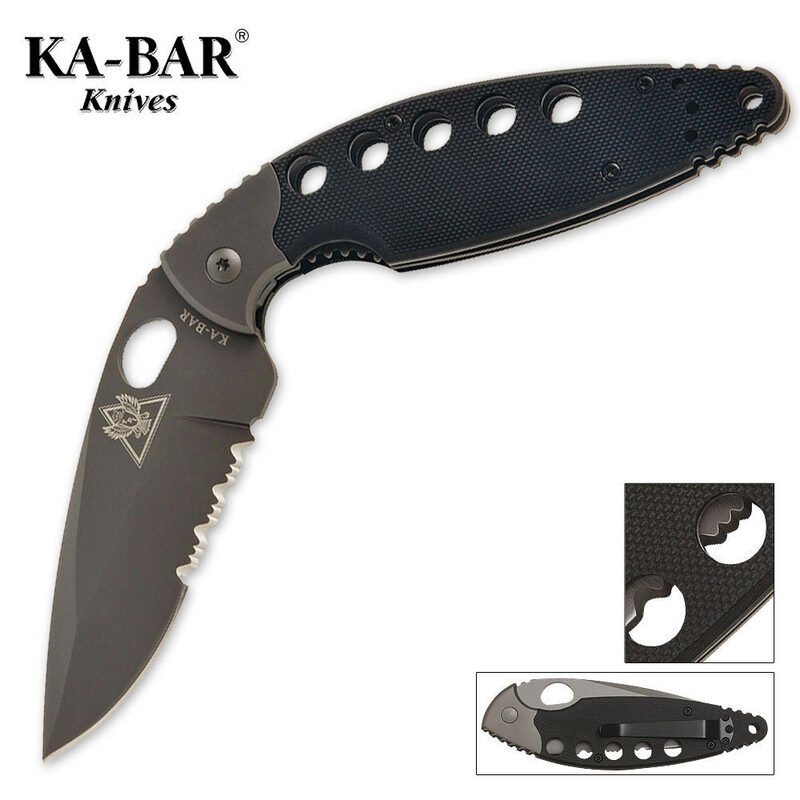 KA-BAR TDI Pocket Knife Serrated | BUDK.com - Knives & Swords At The Lowest Prices! Designed by an officer with officers in mind, this TDI folder is low profile, lightweight and there to meet specific needs. John Benner, founder and owner of Tactical Defense Institute, designed TDI knives based on his knowledge and experience. This knife is the absolute embodiment of the term Self Defense! Strong, light, and the angle is optimal for close quarters engagement. I carry it EVERYWHERE! I give this blade my highest recommendation. I ignored these TDI knives for a long time because I'm not a police-officer. But I ordered the folder, and have found its angled-configuration to be tactically superior. Conventional-knives naturally point skyward, and must be lowered and thrust, as we might otherwise jab with our thumb. Or, held in a reverse-grip, they point out to the side, or down toward our own leg. But the TDI knives, however they are held, naturally-point directly at the threat, and may be pushed, as we might otherwise punch with our fist. And while slashing with a conventional-knife is rather like swinging a tennis-racket, the TDI knives facilitate more of a pulling-motion, as with kukri-machetes. Either way, the action is more-natural, more-powerful, and less-likely to result in self-inflicted injury. I'm not sure the angled-blade is the best for wood-working, and I wouldn't want to have to skin anything with it. But I'm convinced that the only reason tactical-knives are straight is because it was easier to tie a rock to a stick that way.